Marketing Collateral is the media produced by an organization to promote their brands, products, or services. Originally the term referred only to printed material (brochures, catalogs, sell sheets, etc.) but recently it also started including digital media (website, case studies, ebooks, etc.). With the advent of the Internet, customers have evolved. Every one of us now has the power to gain information and make more responsible purchases. We are less dependent on sales people to learn more about products and services, and most of us like to compare and evaluate different options before choosing. 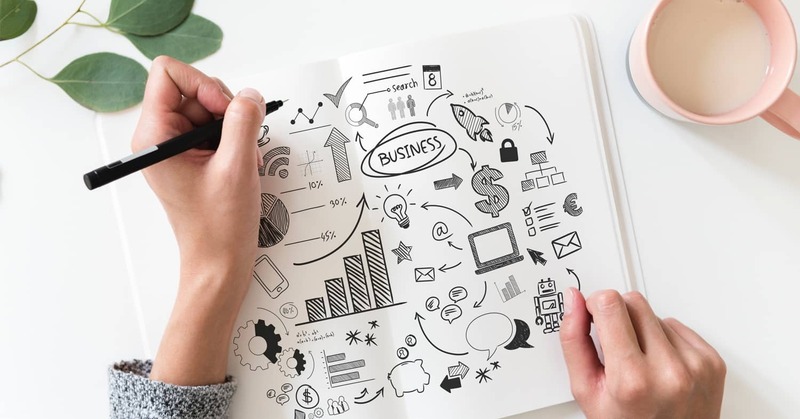 Marketing has evolved to reflect this change with ideas such as permission marketing and relationship marketing – inbound marketing was born and with it the concept of creating value for the customer in order to earn their trust and business. You can have a look at HubSpot’s infographic “The History of Marketing: An Exhaustive Timeline” to learn more about this evolution. I divided the list into two groups “inbound marketing collateral” and “outbound marketing collateral” so that you can immediately check the type of content you are looking for. As you can appreciate from HubSpot’s State of Inbound 2018, one way is not better than the other. Your choice will depend a lot on your type of business, and you can always combine inbound and outbound strategies, digital and printed. 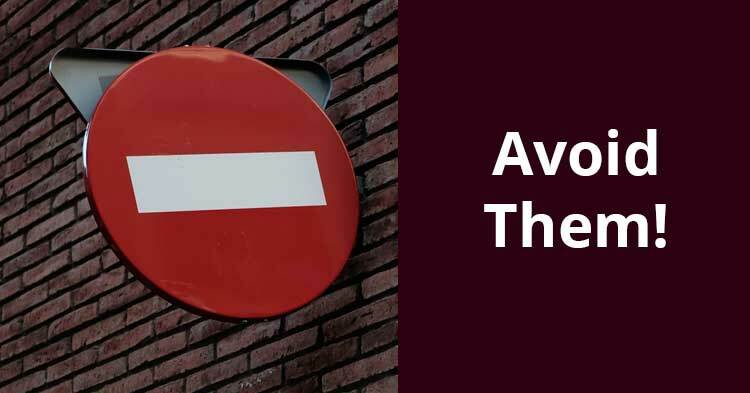 Before going over the list, I would also suggest you check out our post “Should printed marketing collateral die?” It will give you a better understanding of how digital and printed material can work together and what kinds of results you can expect. Then this post will give you some ideas of the “tools” that you can use. As I said above, Inbound Marketing is about creating value with the goal of bringing people to your organization, gaining their trust and reinforcing your brand. Think about blogs, podcasts, newsletters, etc. This is something you probably wouldn’t expect to find in the list. User Manuals and Instruction Manuals can be great marketing tools. They can create an idea of luxury (think of those by Apple) but also cultivate brand loyalty and lead to more sales. I’ve seen it done beautifully on a document I was curating for a coffee machine. The document contained a guide on how to make the perfect coffee. By following the instructions, the reader could learn how to make a great coffee. In the text other products were suggested that could improve the experience even further. SEO can drive a lot of traffic to your website, which can in turn result in more sales. It should be obvious, but it bears repeating that any content published on your site should reflect your company’s value and be professional. But if you consistently notice people purchasing your product while trying to solve a specific needs/issue, you should consider creating landing pages with SEO in mind. A landing page is a standalone web page, created specifically for the purposes of answering to a specific question. The landing page informs the reader about the complexity of the task and inspires him/her to find a solution, while the website simply highlights who we are. That should be your goal too when creating your landing pages. A blog helps you start a conversation with a broad audience. If someone in that audience needs your service or product, they’ll slowly learn about you, they will trust you because of your content, and they will be willing to give you their business. 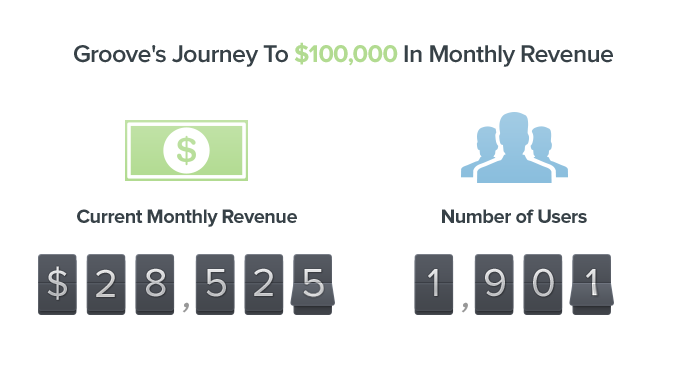 An amazing example from which you can take inspiration is Groove’s Journey to $10M a Year. Groove is a help desk software developed for small teams – who has a small team? Startups. What might people in startups like? A candid story about a startup that is growing – from that idea, Groove’s first blog (and all their success) was born. Next step after starting a blog should be having a newsletter to inform your readers about your new posts. You can also use that newsletter for sharing information that is not in your blog and creating a more personal relationship with the people that read you. Are you or your team experts in something that might interest your customers? An e-mail course is a great way to not only show off your personality and knowledge but also connect with potential customers. This tactic is more suited for freelancers than big enterprises, but if your company is an SMB, chances are that you have something to teach to your audience and an e-mail course could be a great tool to nurture your leads and enforce your brand authority. To increase the number of subscribers to your newsletter, you can write an ebook or create another lead magnet (check here for some ideas). Remember that this document should deliver high value to your customers. 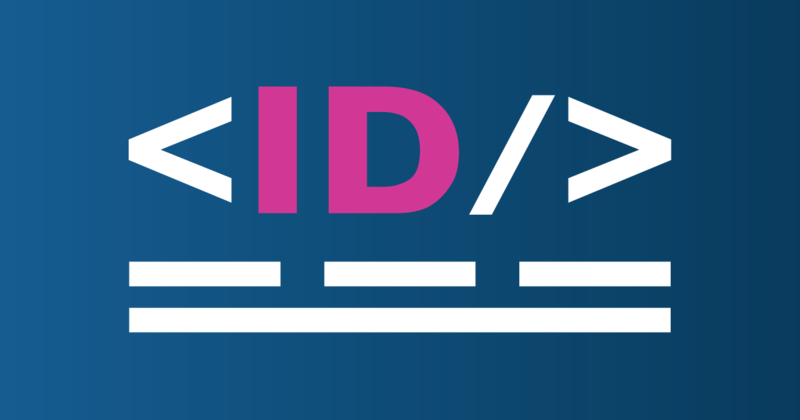 For example, here is an ebook I wrote to teach InDesign users how to improve their documents that will be produced in many languages. The ebook allows us to help our users and inform them that we exist. On the same nature of ebooks, guides are another example of marketing collateral that can help you find more customers. Is your company in the fashion industry? What if your company published a book teaching people how to tie a tie? You don’t need to sell ties, you might as well sell suits, the important thing is that your products are recognizable in a way that inspires people. You can publish your guide in the third biggest search engine in the world: Amazon.com. Since 2007, the use infographics has increased by 9900%! An infographic is a great way to communicate your message in a bold way. 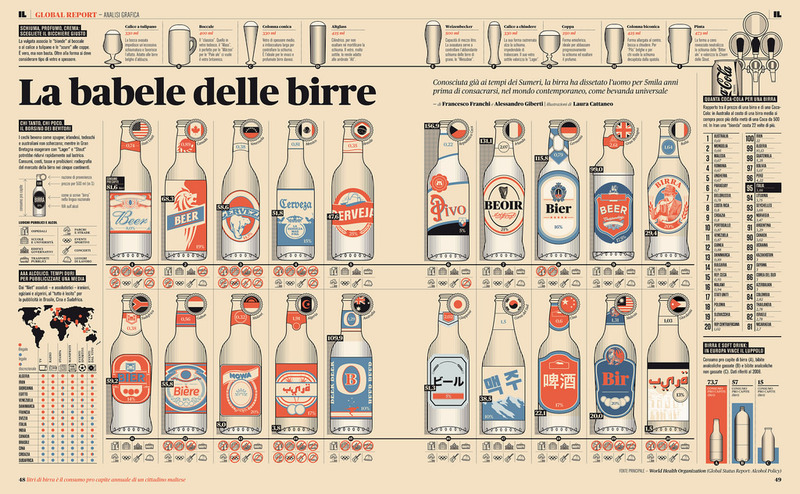 If your company produces glasses, beer, or something related to that you could create an infographic similar to this one from Francesco Franchi. And then use it as a Lead Magnet or post it on social networks like Pinterest and reach a new audience. Check some other great examples and learn more about infographics from: What Is an Infographic? Find Out What They Are and Why They’re Useful. Infographics can also be published in newspapers – they provide a lot of useful information for the reader and help with communicating your message and reinforcing your brand. Here are some other examples of infographics as they would appear in a newspaper. You can also publish other types of content. Let’s say your company produces pressure cookers. You could write up a short piece on how to make a very healthy dish with a pressure cooker and publish it on a magazine – the important part: it shouldn’t look like advertising. Use social media. Post things that inspire your audience to start a discussion or communicate your message. Nike’s Instagram is the best example. They consistently post great pictures and videos of people doing what their customers love: sports! Their brand is not always visible in their content but when scrolling your feed you immediately notice a picture from them. A Facebook Group can work splendidly as marketing collateral. Being consistently present for your customers or anybody interested in the topics you cover proves dedication and creates value for your customers or anybody interested in your business. Also, a group can develop into a community and provide even more value – check Leadpages® public group. Of course, as for any other tactic in this article, this may not be suitable for every kind of business. Nike again. The company developed an app/social network for training: Nike Training App. It’s completely free, it’s well developed, and it gives so much value that you’ll end up loving them! Unfortunately, not every team has the same economic resources of Nike but with some creativity, you might find an idea that applies to your business. By the numbers, YouTube is the second largest search engine available. That is because people love videos. Find what attracts your customers and talk about that, start a video blog or share testimonials in your social media networks. You can share your company’s news with the world, discuss what is changing in your industry, make case studies, interview executives or show a “behind the scenes” process. Video is a very powerful medium and it’s becoming more and more a great opportunity for companies of all sizes. You can pick some ideas from one of our clients, LMI Technologies, which is doing a wonderful job with its video content: LMI Technologies YouTube Channel. Web Demos require no or low commitment from the customer and allow them to experience your product and learn more about your offer. A webinar helps you to talk in front of your potential customers and connect with them. You can talk about anything related to your industry, for example, we had a webinar on Optimizing InDesign Files For Translation which is related to the pain we solve with Redokun. Organize a marathon, a party, a social discussion. An event can be the perfect way to meet your customers in person and learn more about them. Where I live there is an event called the “Chainsaw challenge” – people gather there to test their ability to use a chainsaw. Needless to say that the event is organized by a reseller of Stihl. Whitepapers are a type of publication that argues and explains why your product or company has the best solution for a specific issue in your industry. A somehow famous case of use of a whitepaper comes from Apple. After the launch of the iPhone X, many journalists and researches expressed their concerned about FaceID. Apple replied by releasing this whitepaper in an attempt to address those concerns. Whitepapers are commonly used to promote new technologies, Amazon for example has an entire library of whitepapers that promote the use of the cloud. Reports attract the attention of all your industry. A great example can be HubSpot’s State of Inbound 2018, which I already mentioned at the beginning of this post. The Podcast industry is booming– it has doubled each year in the last two. Podcasts are a great way for learning, and you can use them to deliver your message. In 2016, eBay Teamed up with Gimlet to Launch a New Podcast Series for Entrepreneurs. The result, “Open for Business,” offers insight from industry experts, showing how to start your own company. It was a very clever idea to gain more business, customers, and increase the value of their brand. Build a calculator or a piece of software that can help your customers with automating a task. Saving a lot of time is a great way to stick in someone’s mind. They will feel grateful and might stick around on your website to learn more about you and what you do. Post your product on websites like Alternativeto. Potential customers might discover your offer while looking for alternatives to the product they are using right now. A portfolio like this one from Linealight is a perfect way to showcase your products in an environment that your client might consider familiar. See, for example, these two portfolios. Think of yourself pushing your company’s message out to your target audience hoping to bring in some customers. That is outbound marketing. It includes advertising, catalogs, product brochures, direct mails, cold calling, etc. Compared to the 20.81% open rate of emails (Data from MailChimp) more than 92% of direct mail is opened. We have scientific proof that printed marketing collateral is efficient and has the power to influence people’s perception in a positive way. The Wall Street Journal ran a marketing campaign from 1975 to 2003 that sold $2 billion thanks to this sales letter. A sales letter can be the right tool for promoting your business too. Publish the case study in a magazine or create a document for your sales team, and then use success stories to show others how you helped their competitors. You can use case studies also in a digital form. Interview your customer, create a landing page, create an infographic, publish their experience in a blog or use it for advertising. A brochure is classic marketing collateral. You should consider producing brochures because like a landing page, they allow you to condense your message into a single document. 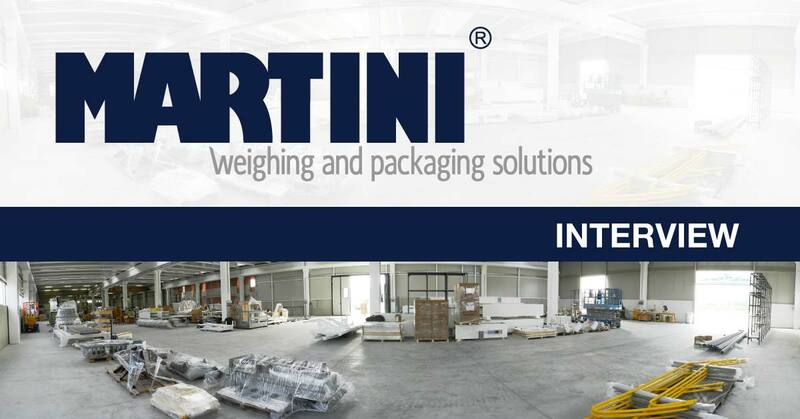 In a data sheet, you can condense all the technical information of your specific product. Any information that is not fundamental should be removed from the brochure, and instead be published in a data sheet. If you sell many products, you should have a catalog that your customers can use to understand your entire offer. Like IKEA does you should allow them to download a digital version and have a physical copy (to leave with your customer when you meet them or to send via email when requested). Based on your business, you can run a campaign where you distribute coupons to promote your services. TV, Radio, Billboards, Newspapers, Google, YouTube, Facebook, Reddit, you can advertise almost everywhere. You can promote your product, or an event, a webinar, a podcast. A lot of companies are competing for people’s attention, so be creative! 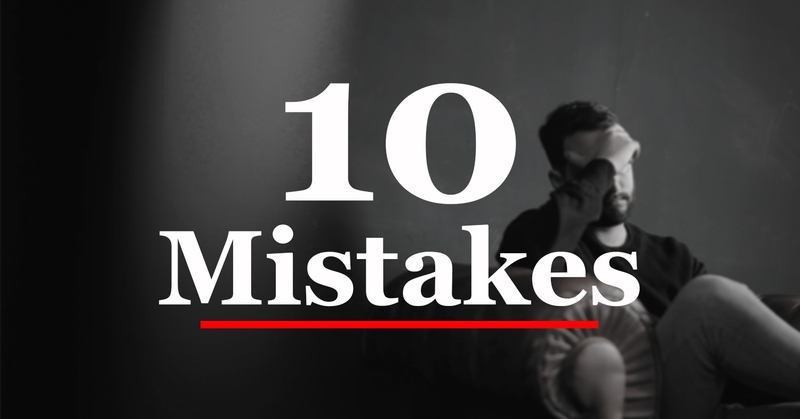 It’s not a single point of the list that will make you successful, but rather a combination of many of them in a thoughtful marketing campaign. Look at each point with an open mind and use your imagination to establish a relationship with your customers. Let me know in the comments if this sparked any great ideas and please share them!